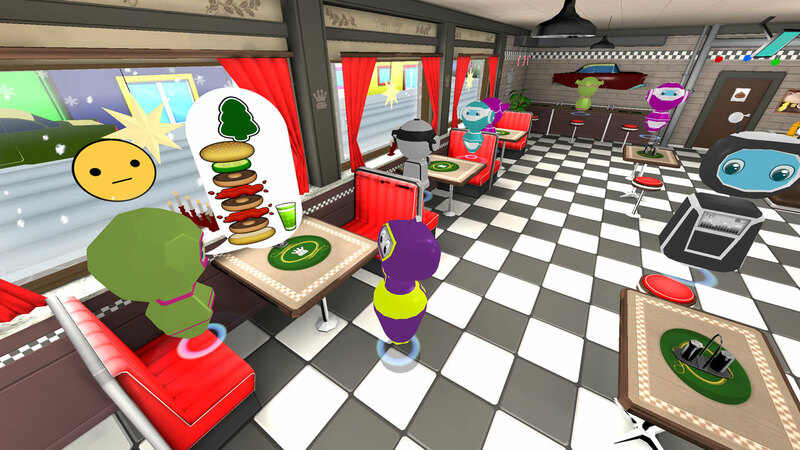 VR The Diner Duo is a local multiplayer game where you need to communicate to manage a diner together. 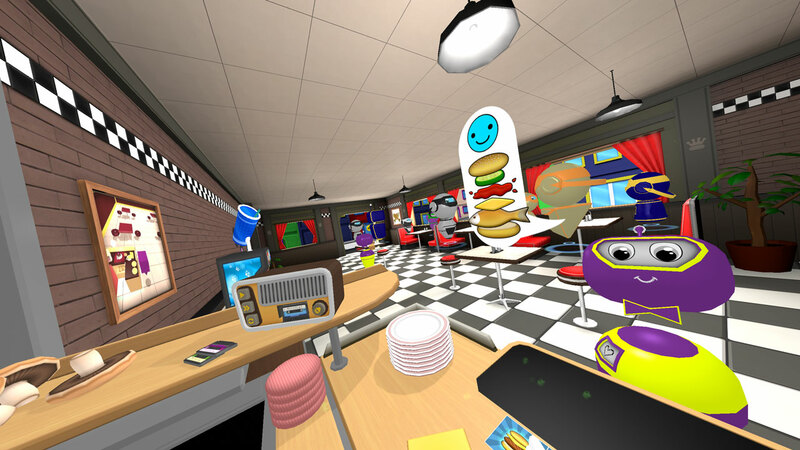 The waiter takes orders from customers, serves them drinks and keeps the customers happy while they&apos;re waiting for their food. Your goal as a chef is to cook the food your customers want, in a limited amount of time. You snooze - you lose! 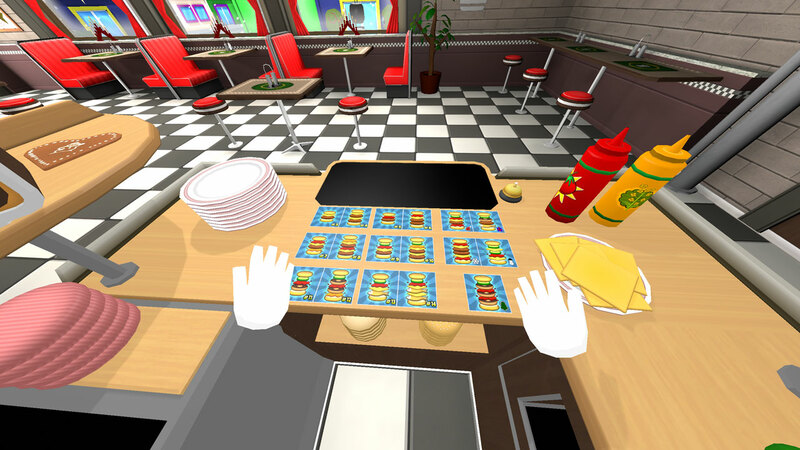 You are able to customize your character, both chef and waiter. 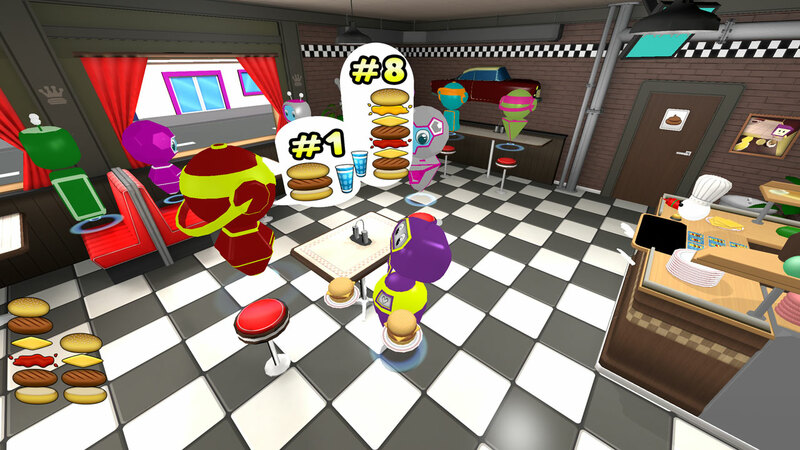 The more you play, the more customization options you will unlock. 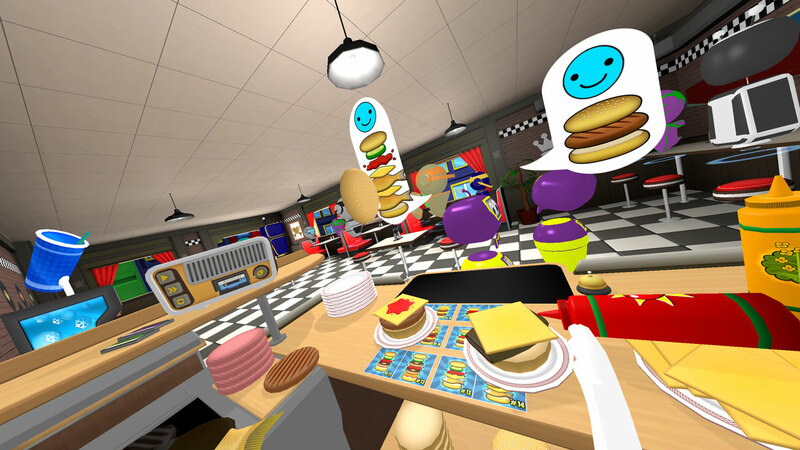 Please read these Terms of Service (&apos;Terms&apos;, &apos;Terms of Service&apos;) carefully before using the http://www.whirlybirdgames.com website (the &apos;Service&apos;) operated by Whirlybird Games (&apos;us&apos;, &apos;we&apos;, or &apos;our&apos;).